Are you bored of usual blue look of your Windows Live Hotmail inbox? You can give a healthy color splash to Live Hotmail interface by changing look using in-build themes. There number of theme options that change the header graphic photo along will title text color throughout the Hotmail inbox interface. 1. Goto http://mail.live.com & login into your Windows Live Hotmail inbox. 2. Click Options button at right with down arrow & then mouse hover different theme options to preview them. 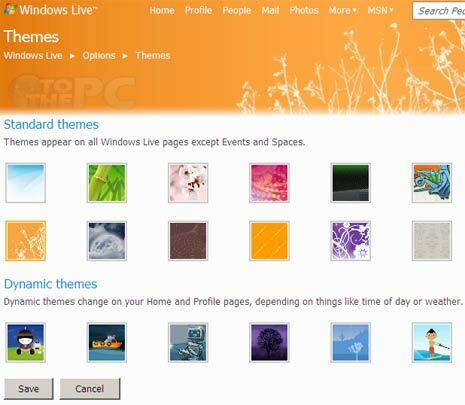 Click any theme to set it as your current Live Hotmail theme. 3. 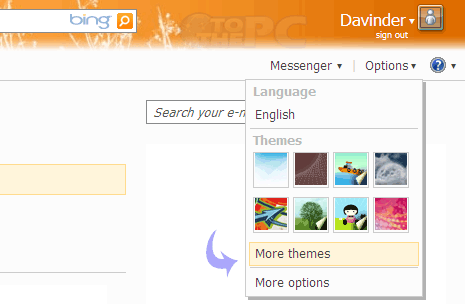 Click ‘More Themes’ option to view more colorful Live Hotmail themes. You can click to apply any theme on Live Hotmail inbox for a refreshing change.